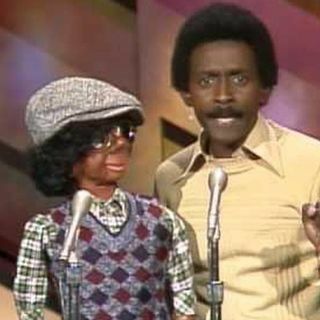 Willie Tyler (born September 8, 1940) is an American ventriloquist, comedian and actor. Most of the time, he is credited as Willie Tyler and Lester or Willie Tyler & Lester. He has appeared in many television commercials, sitcoms, and movies. He got his first big break in 1972 on Rowan & Martin's Laugh-In.Tyler was born in Red Level, Alabama, and raised in South East Detroit, Michigan. He attended Detroit's Northeastern High School in the late 1950s. He is the father of ... See More Tarince Tyler and actor Cory Tyler.Tyler has had guest roles in The Parent 'Hood, Pacific Blue, What's Happening Now! !, The White Shadow and The Jeffersons, as well as serving as host of the popular Saturday morning children's anthology series The ABC Weekend Special throughout the early 1980s. He appeared in the 1978 film Coming Home. In addition, he has appeared in television commercials in the 1980s for McDonald's and Toyota.He appeared as himself in the 2004 BET Comedy Awards, Frank McKlusky, C.I., For Da Love of Money, In the House, the 4th Annual Black Gold Awards, The 1st Annual Soul Train Music Awards, Motown Returns to the Apollo, Lou Rawls Parade of Stars, Powerhouse, The White Shadow, American Bandstand, Vegetable Soup, The Flip Wilson Show, The Statler Brothers Show, The Hollywood Palace, Match Game and Family Feud. On September 18, 2006, Tyler was the first ventriloquist to appear on the Late Show with David Letterman's Ventriloquist Week.